A special gathering, held at the BOC premises in Seef and attended by the body’s female staff, was in recognition of Bahraini women's efforts in all areas. The patron of the event was Shaikha Hayat bint Abdulaziz Al Khalifa, a member of Bahrain's Supreme Council for Youth and Sports and the BOC, and who is chair of the Bahrain Women's Sports Committee. Shaikha Hayat paid tribute to women for the crucial role they have played for more than 50 years. "At the Bahrain Olympic Committee, we recognise and celebrate the significant contributions our female members of staff have made to our overall success," she said when handing over colourful flowers to staff members. Shaikha referred to the achievements of Bahraini women in legislative and municipal work, citing examples of those personalities working in the field. She went onto express her happiness that six women have recently reached the Parliament Council and that four made it to the Municipal Council. Shaikha also thanked BOC President Shaikh Nasser bin Hamad Al Khalifa for his "unlimited support" to women's sport and to vice-president Shaikh Salman bin Ibrahim Al Khalifa and secretary general Abdulrahman Sadiq Askar for their efforts. 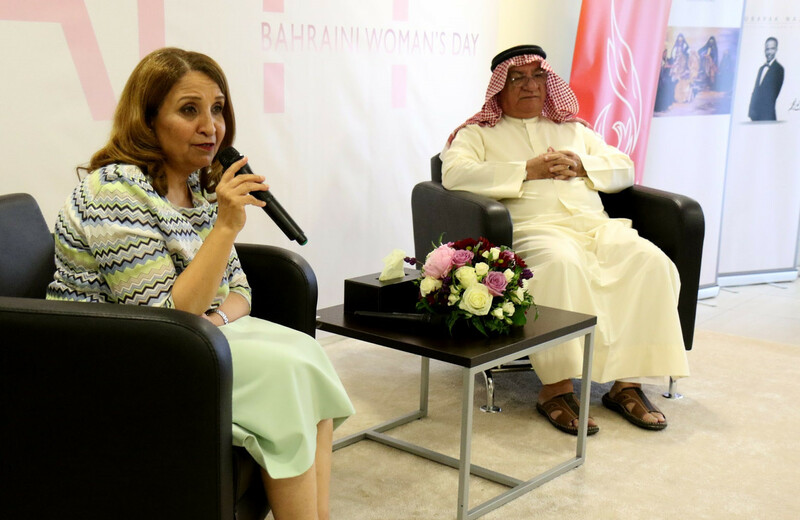 The Bahraini Women's Day is held under the patronage of Princess Sabeeka bint Ibrahim Al Khalifa, wife of Bahrain’s King Hamad bin Isa Al Khalifa and the President of the Supreme Council for Women. Princess Sabeeka announced the theme of "honouring women in the legislative and municipal work" for the Bahraini Women’s Day. Bahraini women’s involvement in municipal work dates back to the 1920s when they took part in the first municipal elections held by the country. The theme was also chosen to celebrate 20 years since Bahraini women entered the appointed Shura Council, and 15 years after their access to the elected Representatives Council and municipal councils.